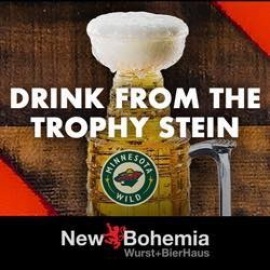 New Bohemia Wurst and Bier House is the transformation of a traditional bier hall into what we like to call the "New American Craft Bier Hall” pouring 36 of the finest local and International Craft beers in the country. New Bohemia features over 24 different all natural sausages made from whole cuts of meat, no artificial flavoring, and zero nitrates. Our sausages are made right here in Minnesota. 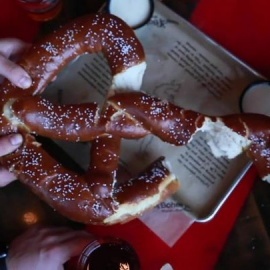 Buns and pretzels made by hand in the traditional German style. Fries are hand-cut everyday and all sauces, mustards and topping are made fresh in every restaurant.